Mr. Stinky's Green Garden: GROW YOUR OWN MMJ When Do Marijuana Plants Start to Flower? 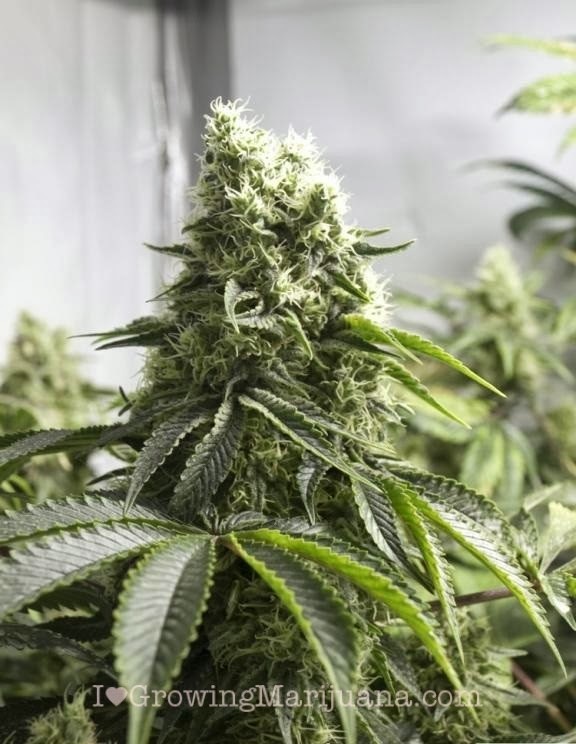 GROW YOUR OWN MMJ When Do Marijuana Plants Start to Flower? Of course, getting to the flowering stage is different for every plant. If you’re growing indoors, then you have control over when the plant will start flowering. If you’re growing outdoors, however, the plants will only start flowering once certain lightness and darkness quotas are met. Unless you’re using an autoflowering variety, then having a set amount of complete darkness every night is necessary to get the plants to flower. During vegetative growth, you might leave the lights on 24/7, but when the plants have matured enough, you’ll want to switch them to a 12/12 light to darkness ratio. That means, the lights stay on for 12 hours and they go off for 12 hours straight. It’s important to note that flowering will only occur in situations where the plant receives total darkness for approximately 12 hours. If you interrupt the darkness period even for a few seconds, you may trick the plants into thinking they’re getting more light. It should also be noted that certain varieties have “thresholds” of darkness that need to be passed. That is to say, 12 hours might not work for some plants. You might even be able to get away with a smaller length of time in the dark (say, 10 hours), and you may even need to provide as much as 14 hours of darkness. If you’re growing outdoors, then you may be at the mercy of the of the Earth’s tilt. Varieties that have extra-long darkness thresholds will have to stay outdoors for a longer period of time. If applicable, you can but a blackout sheet over the plants so that they get the recommended amount of darkness, but that won’t always work. Downoad the free marijuana grow bible for more tips.